2019 HEAVY HAUL TRUCKING & OVERSIZE REGULATIONS. Pilot cars. 2019 North American DOT laws, regulations, rules, limitations for oversize and heavy haul trucking permits? 2019 North American DOT laws, regulations, rules and limitations for oversize and heavy haul trucking permits. The following state/provinces have laws that govern specialized shipments. They define maximum sizes and weights as well as requirements to legally transport objects through their jurisdiction. The process of categorizing these limits must comply with the federal bridge formula (disbursement of weight) as well as permissible travel times combined with length, width, height and weight restrictions in able to be transported over the interstates, highways and roads within each jurisdiction. To determine the shipping requirements set forth by each state or province you wish to ship in click on the desired location below. Regulations for heavy-haul and oversize trucking permits with pilot car regulations included. Heavy haul and oversize trucking regulations are determined individually by each state or province. The Federal government does not issue permits or have regulations for heavy haul, oversize or overweight shipments. Each individual state is required to maintain their own set of state regulations. They also issue special trucking permits on a case by case basis. If you need to research state regulations or law for oversize and over-weight shipping limitations or need general information about the limits and restrictions of these regulations simply click on the desired state or province for more information. We also have road closure information and tire chain laws. Alabama, Alaska, Arizona, Arkansas, California, Colorado, Connecticut, Delaware, Florida, Georgia, Hawaii, Idaho, Illinois, Indiana, Iowa, Kansas, Kentucky, Louisiana, Maine, Maryland, Massachusetts, Michigan, Minnesota, Mississippi, Missouri, Montana, Nebraska, Nevada, New Hampshire, New Jersey, New Mexico, New York, North Carolina, North Dakota, Ohio, Oklahoma, Oregon, Pennsylvania, Rhode Island, South Carolina, South Dakota, Tennessee, Texas, Utah, Vermont, Virginia, Washington, Washington D.C., West Virginia, Wisconsin and Wyoming. Alberta, British Columbia, Manitoba, Ontario, Saskatchewan and Quebec as well as Yukon and Northwest Territories. 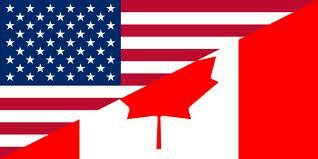 United States and Canada heavy haul & oversize trucking regulations. WideloadShipping.com updates the heavy haul trucking and oversize shipping regulation pages on our server regularly. However, it should be noted laws are continuously changing. The purpose of these pages is to give our readers a solid guideline of the rules and regulations. legal requirements (and suggestions) that will be helpful for viewers that conduct heavy haul or oversize trucking operations in the United States and Canada. Companies and individuals engaged in the transportation of heavy haul or oversize items within these countries should observe all of the regulations and be familiar with them. Any questions about variations should be directed to the appropriate entity within the state or province in question. YOU SHOULD ALWAYS COMPLY WITH THE INSTRUCTIONS ON YOUR PERMIT. If you wish to comment or correct us, we welcome your suggestions. On the bottom of each listing page is a location to leave comments and read the comments left by other. We appreciate our user submitted content so please feel free to leave any comments you wish so others can reference your notation. We have recently added the frost law rules and regulations to the applicable states and provinces. Simply refer to the bottom of each regulations page for that listing for more information. We are looking for more information about oversize load restrictions and limitations in Mexico. We believe that some sort of rules and guidelines must exist somewhere. If you happen to know of where or have any information of how we can obtain them please contact us so we can share them with others. 2018 regulations for heavy haul and oversize trucking. We offer the largest, most comprehensive rules and regulations guide for shipping heavy equipment and moving oversize objects and machinery available online. Rules for limits on length, height, width and weight for trucking companies, shippers and pilot cars. You can reference our older, outdated version here if you need.